We have a range of milling tools that are designed for quick removal of any coatings, such as epoxy and glue from concrete floors. 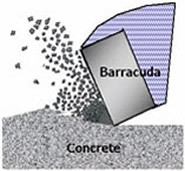 The heavier duty Barracuda is also well suited to efficiently flatten bumpy concrete surfaces! 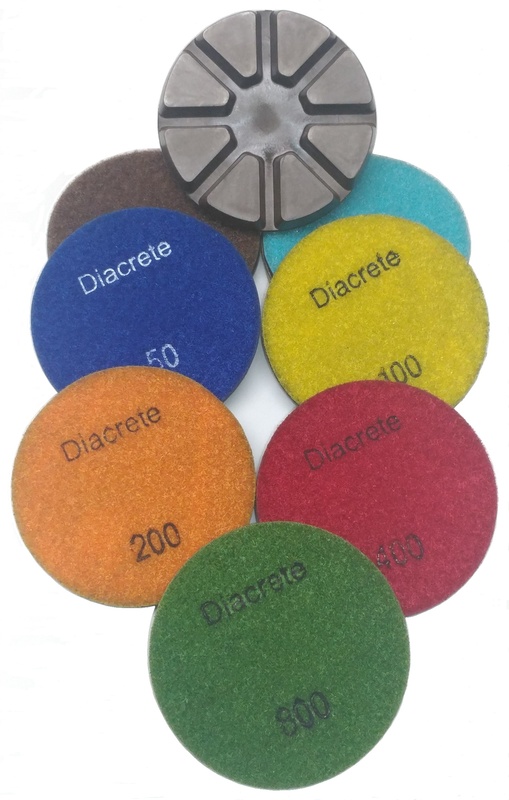 The DCT Combo Coatings tool works by riding on the diamond segment which limits travel of the tool into the concrete surface. Perfect for lighter machines below 500 lbs. This allows the two 1/4 heads to scrap away coatings or Glue, but not damage the concrete itself. 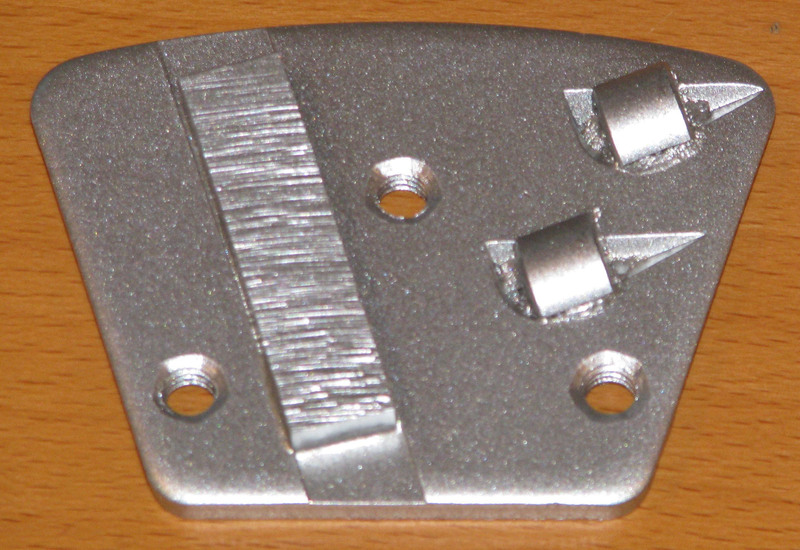 The trailing segment itself will also cut through thin mil coatings that the PCD scrappers miss, helping remove coatings. This tool is very aggressive and will work on lighter machines. The Barracuda is well suited to Floor Machines that are over 500 Lbs, and where less scratching is desired. Designed to quickly remove adhesive glues and hard epoxy coatings, as well as flaking or bumpy concrete surfaces. 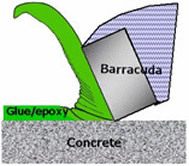 The Barracuda tool works by riding on the tail disk which limits travel of the tool into the concrete surface. 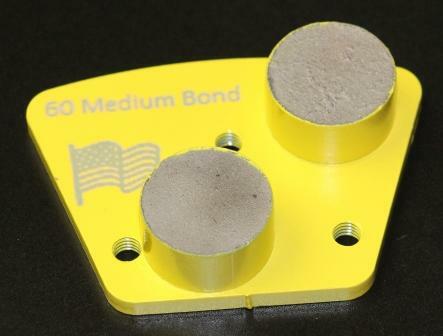 This allows the head to scrap away coatings or Glue, but not damage the concrete itself. The tail itself will in time develop a sharp edge that will also help remove coatings. If removal of the concrete surface is wanted then use of the Barracuda Light will allow more removal of the concrete itself.